Tenants at a Palo Alto apartment building are up in arms after they were told to move out. Scott Budman reports. Tenants at a Palo Alto apartment building are up in arms after they were told to move out. 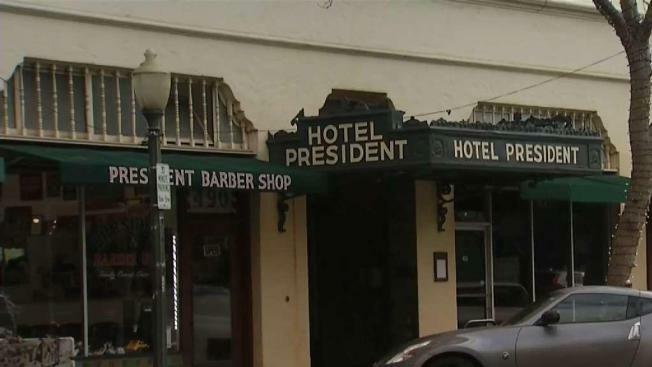 Owners of the downtown President Hotel Apartments on University Avenue plan to turn the building into a hotel. Thursday was the last day for tenants to move out. Iqbal Sarang, who has lived at the building for 30 years, said Thursday's move-out day felt more like an eviction. "People ask the question, do I have a plan B? I don't have a plan B," Sarang said. The building's owner, AJ Capitol Partners of Chicago, began notifying tenants six months ago the apartment building will be turned into a hotel. Some residents like Michelle Kraus were initially given until the end of June to move, but recently found out they had to leave before the end of January. "I don't blame the owner," Kraus said. "They saw an opportunity and seized it. But I do blame the lack of coming together and communication in a straight-forward way." The building's owner or Palo Alto city officials would comment on this report.